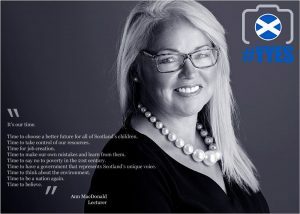 Yes Portraits of a Nation is a photography project by Scotland’s top headshot and portrait photographers David Ho and Sandie Knudsen, to showcase the depth and diversity of support for Scottish Independence. 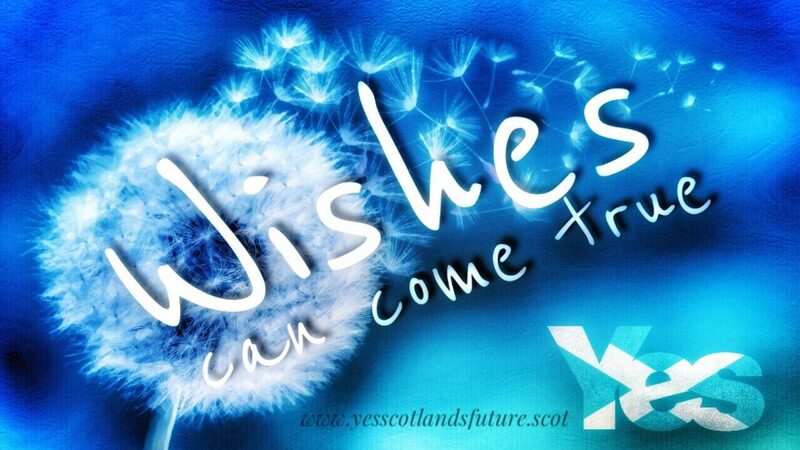 See more inspirational images in this ever growing portfolio on the YYES Facebook page. 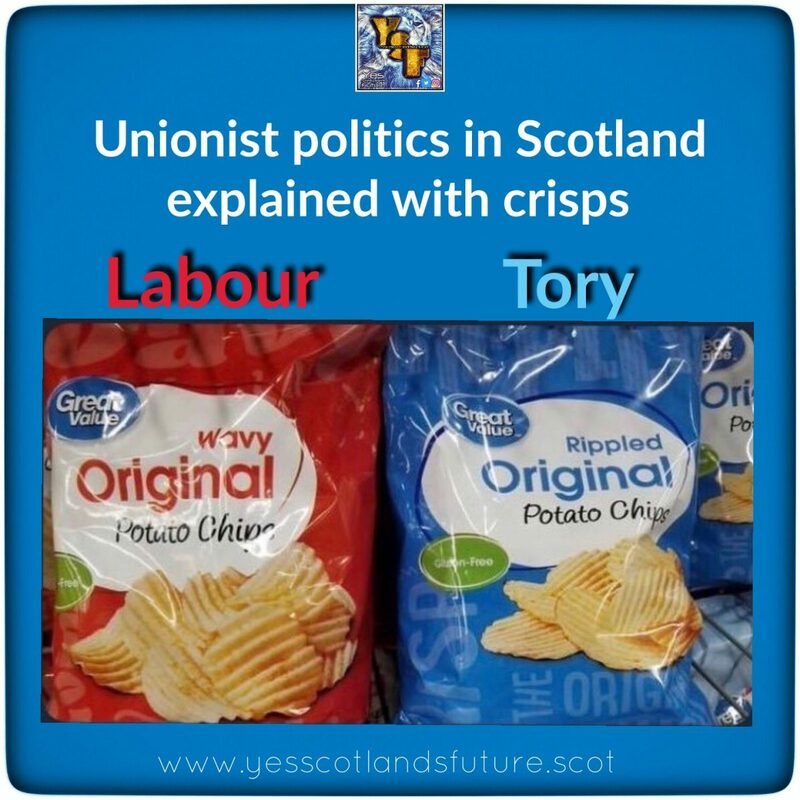 When it comes to the crunch what exactly is the difference between BLiS (British Labour in Scotland) and BCiS (British Conservatives in Scotland) ?? It’s just the colour of the wrapper isn’t it!!! Recent headlining news about allegations against former First Minister Alex Salmond raises a number of interesting points. 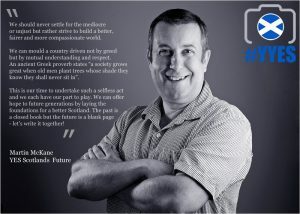 At Yes Scotland’s Future we are glad to see him putting forward a robust defence and at the same time we uphold the right of an individual or individuals to raise issues in the workplace. “A plea. Don’t rush to judgment. On anyone. Allow due process. 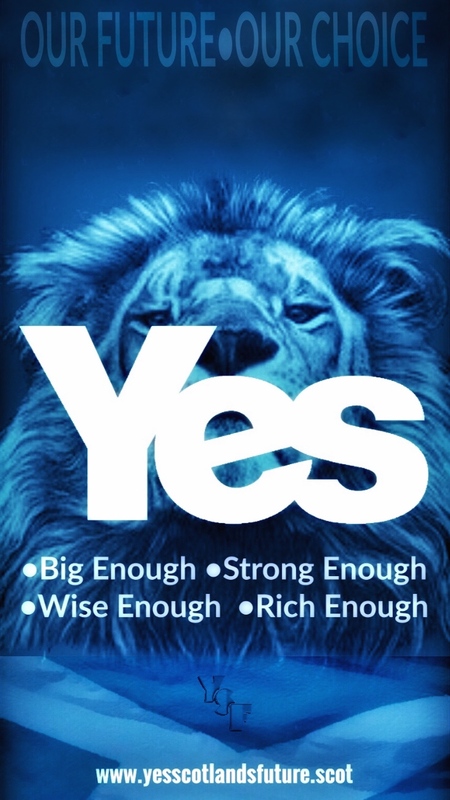 At one level that is all we need to say on this at this time no further comment is needed until due process has been completed including Alex Salmond’s court case. There are other important events going on in the world as we know only too well. 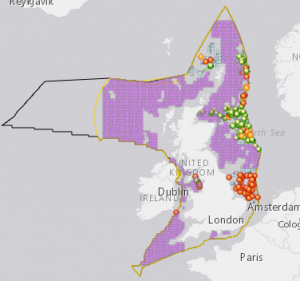 This week saw the publication of a massive stream of ‘technical notes’ on what would happen to a number of important sectors if there was a ‘No-deal’ Brexit, including raising a number of concerns about banking services for British people living abroad, increased credit card charges and potential shortages of medicines and medical supplies such as those used for cancer treatment. Unfortunately none of that is on the front pages of the Scottish press. Just a day or two after their publication you would expect a fair press to have digested and analysed this mass of information and to be sharing it with people. But no, nothing of the sort. In the case of Alex Salmond (AS) we see an all too typical rabid press pouring over what is to all purposes a leaked workplace grievance and subsequent investigative process. That process has to run its course but it is the nature of these things that leaking it to the media not only damages the accused but the accuser. It’s extremely difficult for anyone in a workplace to report concerns to an employer if it is then leaked to the media. We have to ask who leaked this confidential information about a sexual harassment allegation and why? That brings us to the second main point of this article. What is the role of the media and how are they responding? In the last few weeks and months there have been many stories about alleged misconduct among public figures but in the Scottish Government there is a clear internal process for dealing with such matters. From Nicola Sturgeon’s statement “..I was informed by the Permanent Secretary earlier this week that she had completed her investigation”. The subsequent release of the fact that a complaint had been made and investigated led to AS refuting this and raising a legal challenge. This was seized upon by the media as AS suing the Scottish Government and almost by association some kind of internal struggle inside the SNP. Looking at the facts of the matter and if you think of it without Alex Salmond but as a complaint in a work setting it should never have got any exposure at all in the media. So why was it put out into the public domain ? 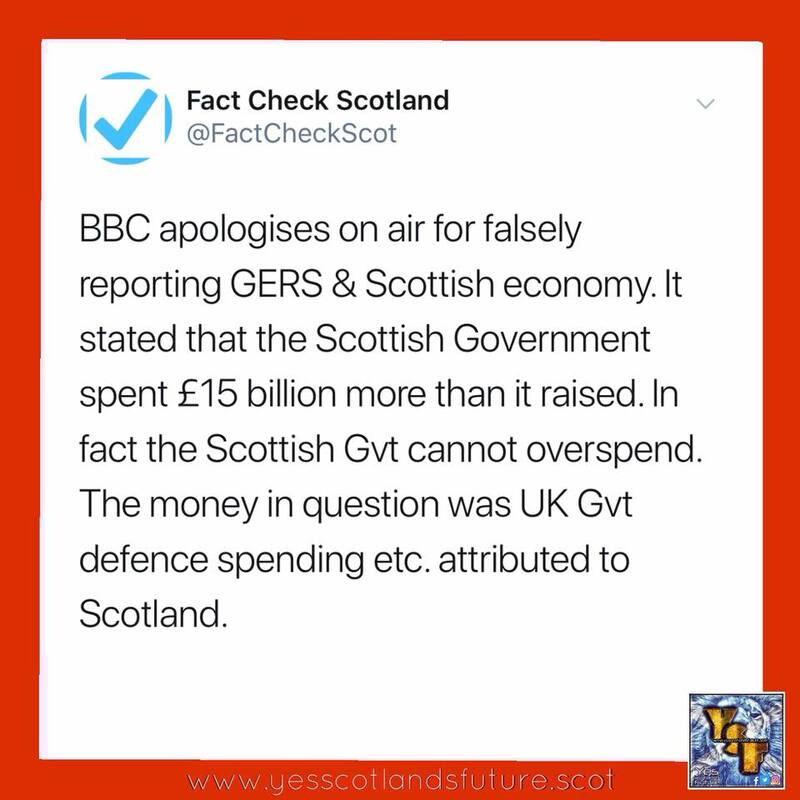 We have seen frequently the BBC report on a subject then spin it out to include false or misleading information.In fact just this very week they were forced to apologise for misleading the viewing public about the economic figures relating to Scotland. This goes on regularly and it is by regularly repeating false information that important ‘minor’ details like Scotland can never have a deficit because it’s not fiscally allowed to, are ignored.Instead the media try to paint a picture of a reckless over spending Scottish Government when in fact nothing is further from the truth and all areas Scotland has complete control over are not in deficit. The media stated repeatedly that Alec Salmond was suing the Scottish Government and the Civil Servants involved in bringing the complaints forward. The message people are not getting explained to them is that the Civil Service is reserved to Westminster and staff are charged to work with the devolved administrations.They are not employed by Holyrood. So it is not true to state that a case is being brought against the Scottish Government and insinuate it is some kind of internal SNP struggle. 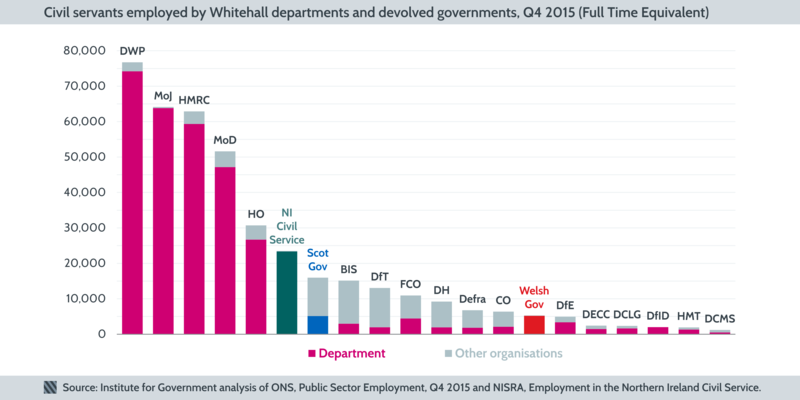 This article on the civil service outlines changes to staff numbers across the devolved administrations. The key point s that the devolved administrations have less staff working for them than other UK government departments. 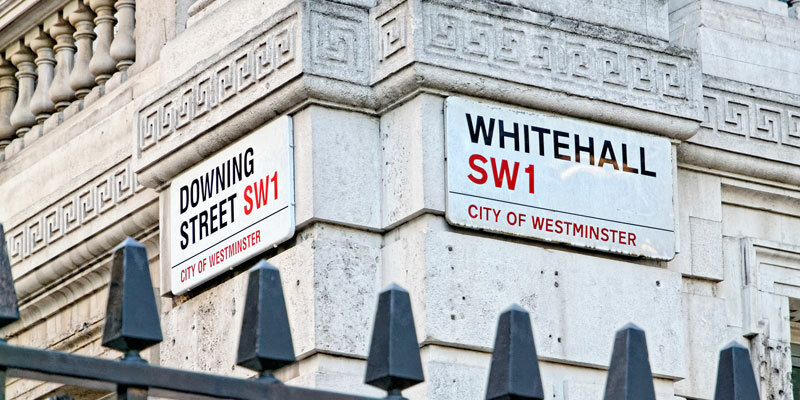 We do not intend to attack the civil service or its staff but point out that the presence of senior staff is more heavily weighted towards the 5 Westminster controlled departments than the devolved assemblies. We can do without the media leading us up the garden path at a time when we are being led to the cliff edge over Brexit. The civil service is in charge of the internal investigative process not the ‘Scottish Government’. We shall see what transpires but we know how politics works. Civil servants are answerable to politicians and at times of crisis staff with skills in mass media are as useful to a government as weaponry is at a time of war. Jeremy Corbyn has also seen his fair share of media misrepresentation recently although some of it is of his own making. "Do you honestly believe that Britain is better off outside of the EU?" I will leave room to consider points by Craig Murray, someone with lived experience in this area of press activity. It is also worth noting Alex Salmond’s recent unfettered access to the media on his RT talk showin which he has given free reign to a number of interesting subjects and guests whom you would never see on any other talk show. Recently he has intervened personally in the Wings Over Scotlandversus the BBC case involving the banning of the You Tube channel. Don’t rush to judgment. On anyone. Allow due process. 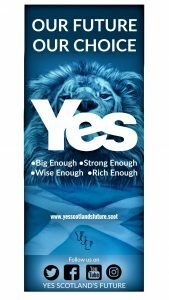 At the same time being realistic we need to be aware of the massive media games being played on the public over Brexit and Scottish independence just now. There is not a bus big enough to write all the lies that have been broken on the side of it. 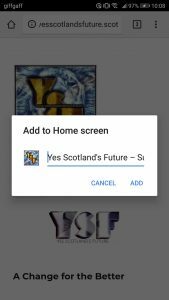 Access to Yes Scotlands Future -how to still take us with you if Facebook fails. Recently there has been a great deal of disruption to Facebook pages.Reports are coming in saying that these are related to changes to programming on Facebook on a worldwide level. The other day this had the effect of posts being blocked as spam posts seconds after being posted and people having to ask for them to be reinstated. 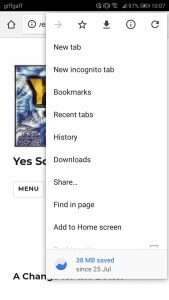 In the event of this happening again or for a more prolonged period we would like to remind page followers that we also have a web site. If the problems with Facebook persist over time we will move all our online activity to that website. 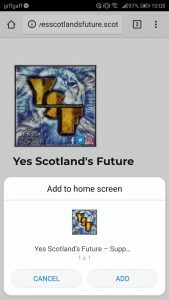 If you have an android or an iPhone mobile phone you can still take Yes Scotlands Future with you anywhere by following the instructions below. 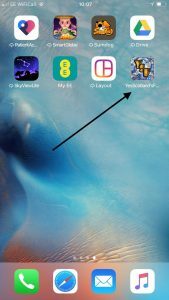 If you have an IOS device follow these instructions to get our web icon on your home screen. 2. 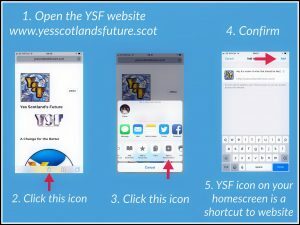 If you have an Android smart phone follow these instructions to get our web icon on your home screen. Tap top right of screen to bring up this second screen. 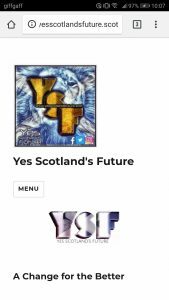 Author YSFadmin1Posted on 24th August 2018 24th August 2018 Leave a comment on Access to Yes Scotlands Future -how to still take us with you if Facebook fails. It is said that Insanity is doing the same thing, over and over again, but expecting different results. 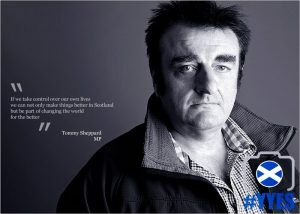 Scotland needs change, real change that it’s relationship with Westminster will NEVER bring. 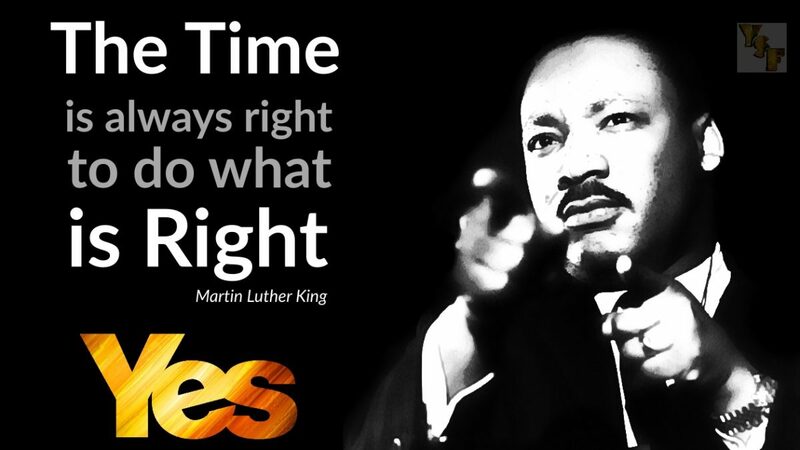 Independence offers Scotland the opportunity to begin again and to learn from the mistakes of the past rather than continue to repeat them. 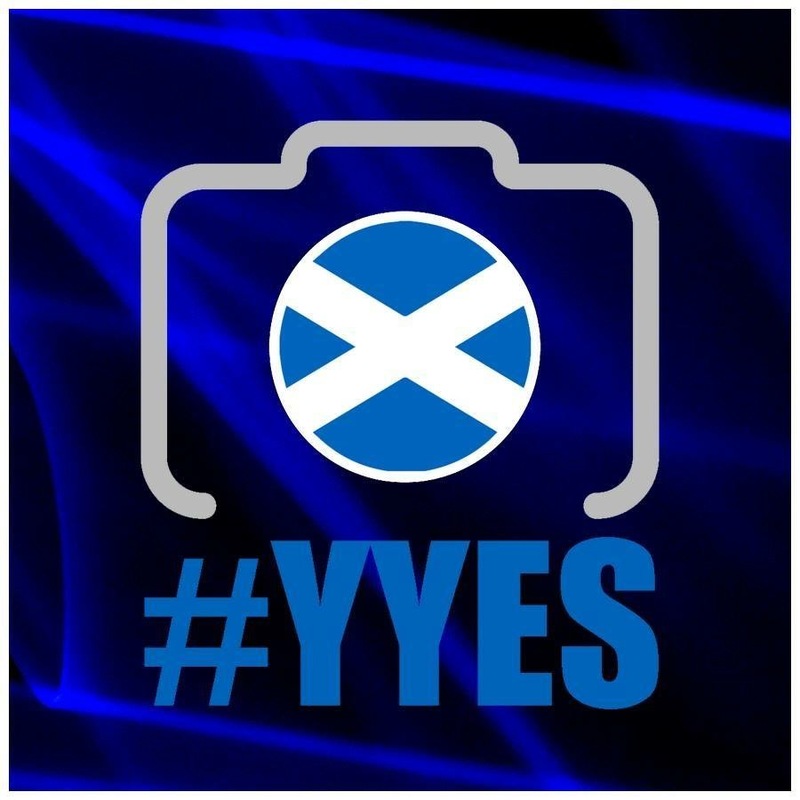 So are you Yes yet? 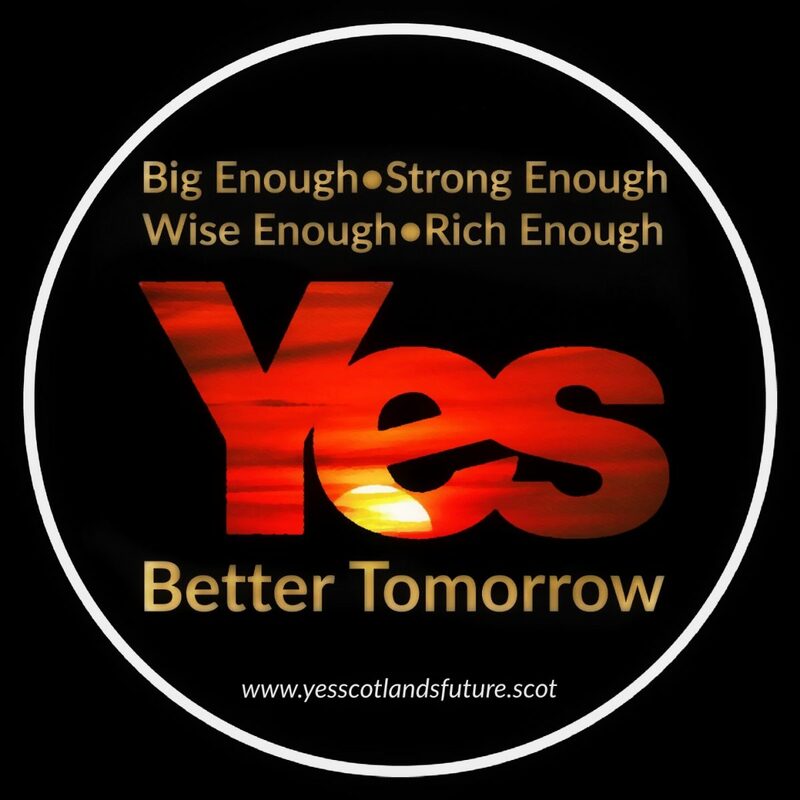 Scotland’s Economy: GERSday By Fiona Grahame, Orkney News. Today’s article in the Orkney News puts the analysis of economic figures for Scotland into context. 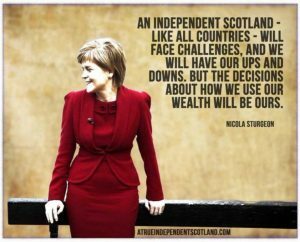 It stresses the importance, which many other media sources fail to point out, the Scotland has to have balanced budget and can never have a deficit. This is an important key fact that allows for misleading analysis to mislead and confuse people. 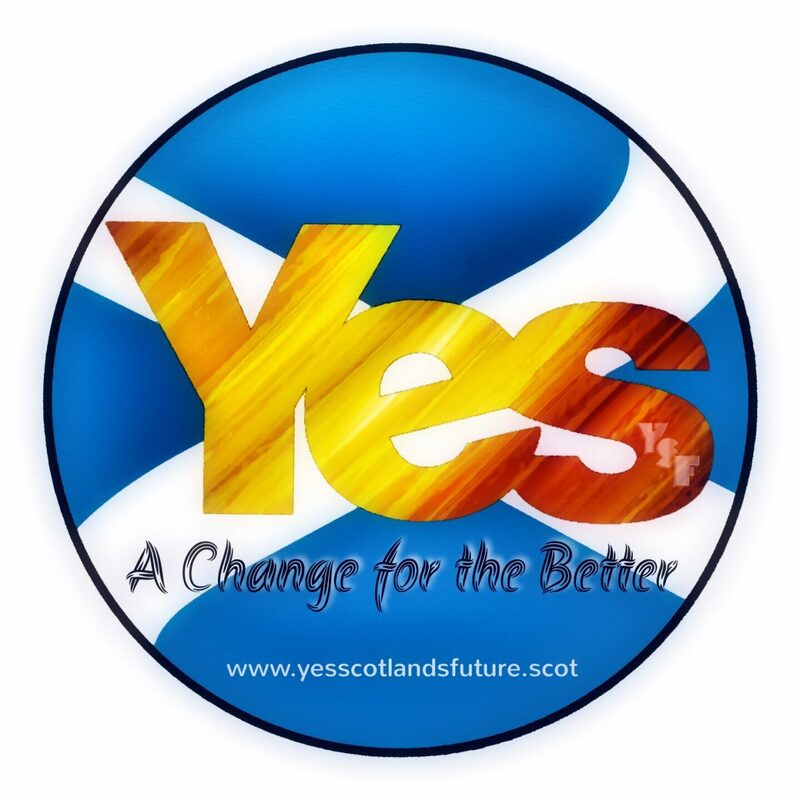 Author YSFadmin1Posted on 23rd August 2018 Leave a comment on Scotland’s Economy: GERSday By Fiona Grahame, Orkney News. 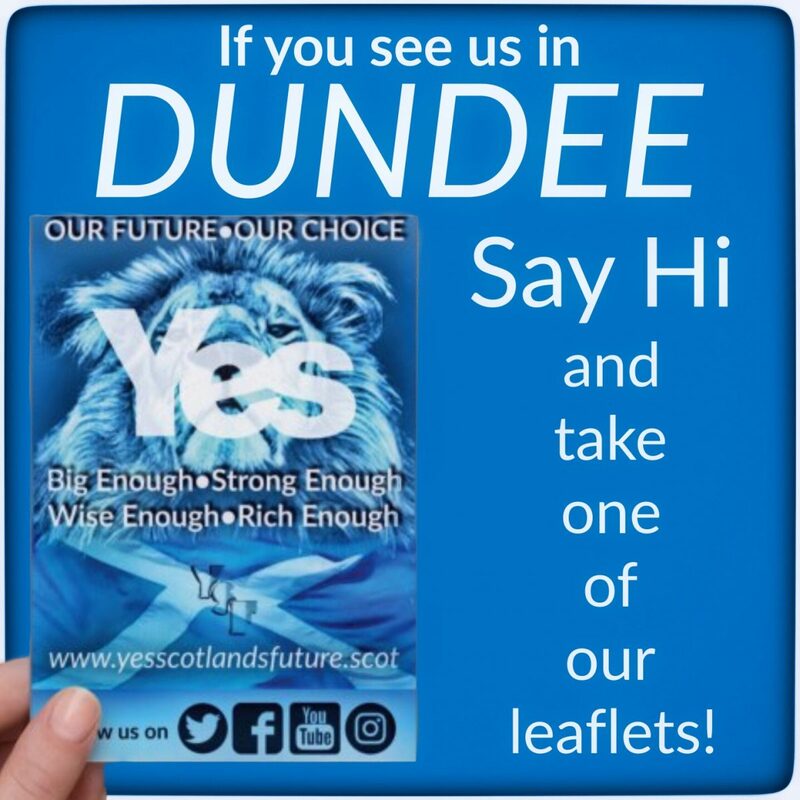 We are travelling to Dundee for AUOB this weekend with some of our ten thousand new A6 flyers. If you see us come over and say hello and take one away with you for display or to pass on. If it’s not to windy we’ll erect our roller banner so that hopefully it will be easy to find us. 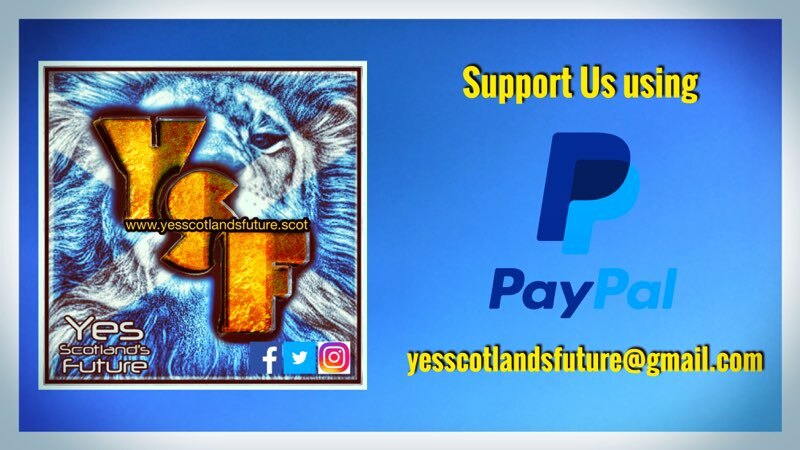 Our sincere thanks to everyone who has donated to our crowdfunder so far and made this possible. If you should wish to make a contribution toward the future production of materials you will find a PayPal link at the bottom of this webpage. 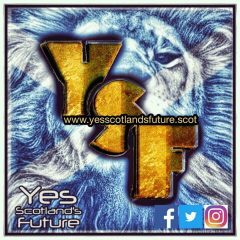 Please note that YSF is not for profit and is run on a voluntary basis.